Socomore Techlube Multi cable lubricant is an all-purpose water-based underground cable installation lubricant for general cable pulling operations. Techlube Multi provides superior friction reduction in high shear, difficult electrical utility and telecommunication cable placing operations between cable and all forms of conduit, including multiple concrete duct. Techlube Multi is a non-flammable, non-toxic and substantially biodegradable cable lubricant and adheres perfectly to cables in wet weather and has a resistance to wash off in water filled ducts. 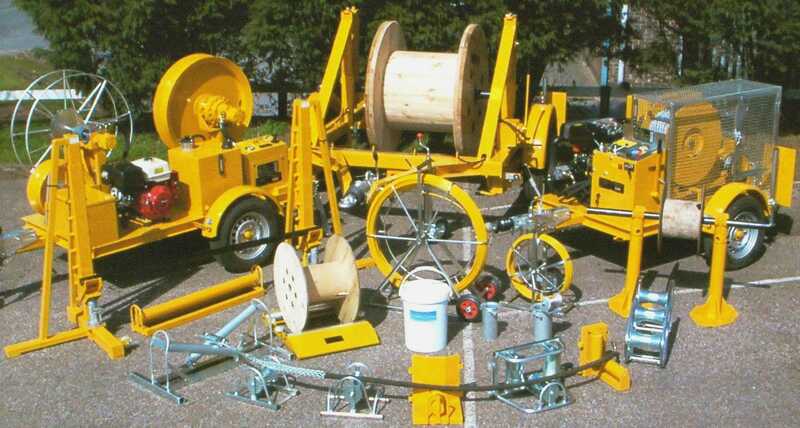 T&D offer a full range of cable lubricants and cable pulling and laying equipment. 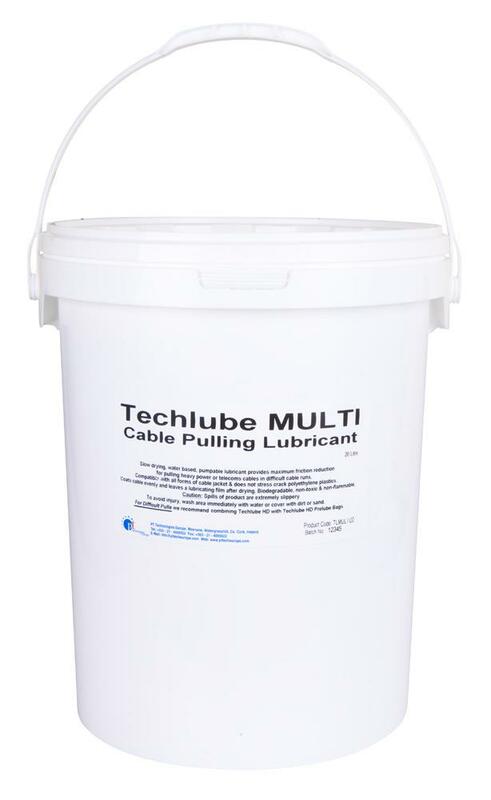 The consistency of Techlube Multi makes application to the cable by hand, with an applicator device or lubricator spreader easy and simple. Where large quantities of lubricant are needed, Techlube Multi is pumpable. Any attempt to quantify exactly the amount of lubricant that is needed on any individual installation will fall short of being accurate. In general, experience has revealed that some valid assumptions can be made. Formulas below have been found to be normally acceptable. However, there are field conditions which may require more / less lubricant than the formulas provide. Knowledge of specific local conditions and experience has proven the best judge in these cases. Where D = The inside diameter of the individual conduit in centimetres. T&D distribute the complete range of LV-HV Cable Pulling and Laying Equipment including cable rollers, cable socks, cable jacks, cable drum trailers, cable lubricant, underground cable protection and conduit duct rod.